This article uses the IPCC Working Group III’s latest report on mitigation of climate change as its material. The ambition is to investigate how the IPCC assigns moral agency to non-experts. For this, the article analyzes whether the terms “citizens”, “stakeholders”, “the public” and “laypeople” are presented as barriers to, drivers for or neutral towards mitigation measures. The “public” stand out in the IPCC report as a much larger barrier to mitigation than the other groups. This article relates these finding to work conducted by Brian Wynne (1991) and Mike Michael (2009) regarding perception of the public by scientific assessments. This article documents that the IPCC Working Group III tends to replicate stereotypes of the public from such scientific assessments. Bandura, Albert. 2002. "Selective Moral Disengagement in the Exercise of Moral Agency." Journal of Moral Education no. 31 (2):101-119. doi: 10.1080/0305724022014322. Been, Vicki. 1994. "Locally Undesirable Land Uses in Minority Neighborhoods: Disproportionate Siting or Market Dynamics?" The Yale Law Journal no. 103 (6):1383-1422. doi: 10.2307/797089. Bjørkdahl, Kristian. 2015. "Rapporten ingen har lest." Prosa (1). Carroll, Lewis. 1893. Through the looking-glass and what Alice found there. Edited by Y. Crowell Company Thomas. New York; Boston: Thomas Y. Crowell & Co.
Dewey, John. 1991. The public and its problems. Athens: Swallow Press. Dütschke, Elisabeth. 2011. "What drives local public acceptance–Comparing two cases from Germany." Energy Procedia no. 4:6234-6240. doi: 10.1016/j.egypro.2011.02.636. Edmonds, James A., Katherine V. Calvin, Leon E. Clarke, Anthony C. Janetos, Son H. Kim, Marshall A. Wise, and Haewon C. McJeon. 2012. "Integrated Assessment Modeling integrated assessment modeling (IAM)." In Encyclopedia of Sustainability Science and Technology, edited by Robert A. Meyers, 5398-5428. Springer New York. Fairclough, Norman. 1992. Discourse and social change. Cambridge, UK ; Cambridge, MA: Polity Press. Fløttum, Kjersti. 2010. "A linguistic and discursive view on climate change discourse." ASp. la revue du GERAS (58):19-37. doi: 10.4000/asp.1793. Forsberg, Ellen-Marie. 2014. "Institutionalising ELSA in the moment of breakdown?" Life Sciences, Society and Policy no. 10 (1):1. doi: 10.1186/2195-7819-10-1. Gardiner, Stephen Mark. 2011. A perfect moral storm: the ethical tragedy of climate change. New York: Oxford University Press. Greimas, Algirdas Julien. 1966. "Éléments pour une théorie de l'interprétation du récit mythique." Communications no. 8 (1):28-59. doi: 10.3406/comm.1966.1114. Greimas, Algirdas Julien. 1966. Sémantique structurale, recherche de méthode. Paris: Larousse. Hawkes, Terence. 2003. Structuralism and semiotics. 2. ed., reprinted ed, New accents. London: Routledge. Hegel, Georg Wilhelm Friedrich. 1991. Elements of the philosophy of right. Translated by H. B. Nisbet. Edited by Allen W. Wood. Cambridge [England]; New York: Cambridge University Press. Heidenreich, Sara. 2015. "Sublime technology and object of fear: offshore wind scientists assessing publics." Environment and Planning A no. 47 (5):1047-1062. doi: 10.1177/0308518X15592311. Hulme, Mike. 2009. Why We Disagree About Climate Change: Understanding Controversy, Inaction and Opportunity: Cambridge University Press. IPCC. 2005. IPCC special report on carbon dioxide capture and storage. Edited by Bert Metz, Ogunlade Davidson, Heleen de Coninck, Manuela Loos and Leo Meyer. Cambridge, United Kingdom and New York, NY: Cambridge University Press, for the Intergovernmental Panel on Climate Change. IPCC. 2007. Climate change 2007: Mitigation of climate change: contribution of Working Group III to the Fourth assessment report of the Intergovernmental Panel on Climate Change Edited by Bert Metz, Ogunlade Davidson, Peter Bosch, Rutu Dave and Leo Meyer. Cambridge, United Kingdom and New York, NY, USA: Cambridge University Press. IPCC. 2014. Climate Change 2014: Mitigation of Climate Change. Contribution of Working Group III to the Fifth Assessment Report of the Intergovernmental Panel on Climate Change. Edited by Ottmar Edenhofer, Ramón Pichs-Madruga, Youba Sokona, Jan C. Minx, Ellie Farahani, Susanne Kadner, Kristin Seyboth, Anna Adler, Ina Baum, Steffen Brunner, Patrick Eickemeier, Benjamin Kriemann, Jussi Savolainen, Steffen Schlömer, Christoph von Stechow and Timm Zwickel. Cambridge, United Kingdom and New York, NY, USA: Cambridge Univ Press. Jasanoff, Sheila. 2010. "A New Climate for Society." Theory, Culture & Society no. 27 (2-3):233-253. doi: 10.1177/0263276409361497. Kemp, Gary. 2013. What is this thing called philosophy of language? London ; New York: Routledge. Klein, Naomi. 2014. This Changes Everything: Capitalism vs. The Climate. New York: Simon & Schuster. Latour, Bruno. 2005. Reassembling the social: an introduction to actor-network-theory, Clarendon lectures in management studies. Oxford ; New York: Oxford University Press. Lazarus, Richard J. 2008. "Super wicked problems and climate change: Restraining the present to liberate the future." Cornell L. Rev. no. 94 (5):1153-1233. Le Bon, Gustave. 1899. Psychologie des foules. Paris: Felix Alcan. McPhail, Clark. 1991. The Myth of the Madding Crowd: Transaction Publishers. Nydal, Rune, Anne Ingeborg Myhr, and Bjørn Kåre Myskja. 2015. "From ethics of restriction to ethics of construction: ELSA research in Norway." 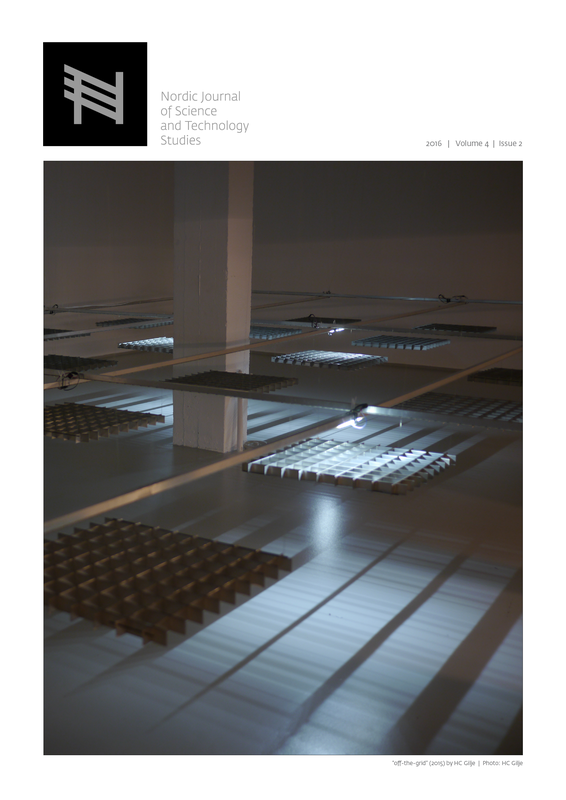 Nordic Journal of Science and Technology no. 3 (1):34-45. Oreskes, Naomi, and Erik M. Conway. 2010. Merchants of doubt: how a handful of scientists obscured the truth on issues from tobacco smoke to global warming. New York: Bloomsbury Press. Palma, Jorge. 1990. Le modèle "actantiel", méthode d'analyse du politique. In Études et Recherches: Science politique, Faculté de droit, Université de Liège. Pellizzoni, Luigi. 2004. "Responsibility and Environmental Governance." Environmental Politics no. 13 (3):541-565. doi: 10.1080/0964401042000229034. Peters, Hans Peter, Harald Heinrichs, Arlena Jung, Monika Kallfass, and Imme Petersen. 2008. "Medialization of Science as a Prerequisite of Its Legitimization and Political Relevance." In Communicating Science in Social Contexts, edited by Donghong Cheng, Michel Claessens, Toss Gascoigne, Jenni Metcalfe, Bernard Schiele and Shunke Shi, 71-92. Dordrecht: Springer Netherlands. Pidgeon, Nick, Christina Demski, Cathrine Butler, Karen Parkhill, and Alexa Spence. 2014. "Creating a national citizen engagement process for energy policy." Proceedings of the National Academy of Sciences no. 111 (Supplement_4):13606-13613. doi: 10.1073/pnas.1317512111. Propp, Vladimir. 1968. Morphology of the folktale. Translated by Laurence Scott. Austin: University of Texas Press. Propp, Vladimir. 1984. Theory and history of folklore. Translated by Ariadna Y. Martin and Richard P. Martin. Edited by Anatoly Liberman, Theory and history of literature. Minneapolis: University of Minnesota Press. Ryan, Alan. 2012. On Politics: Allen Lane. Sarewitz, Daniel. 2004. "How science makes environmental controversies worse." Environmental Science & Policy no. 7 (5):385-403. doi: 10.1016/j.envsci.2004.06.001. Saussure, Ferdinand de. 1995. Cours de linguistique générale. Edited by Charles Bally, Albert Sechehaye, Albert Riedlinger and Tullio De Mauro. Paris: Payot et Rivages. Schneider, Lambert. 2007. Is the CDM fulfilling its environmental and sustainable development objectives? An evaluation of the CDM and options for improvement. In Report prepared for WWF. Berlin: Öko-Institut. Smith, H. Jeff. 2003. "The Shareholders vs. Stakeholders Debate." MIT Sloan Management Review no. 44 (4):85-90. Theweleit, Klaus. 1987. Male fantasies, Theory and history of literature. Minneapolis: University of Minnesota Press. Thorstensen, Erik. 2014. "Public Involvement and Narrative Fallacies of Nanotechnologies." NanoEthics no. 8 (3):227-240. doi: 10.1007/s11569-014-0202-1. Thorstensen, Erik. 2015. "Patent-holders on expert committees. Can there be a conflict of interest?" Etikk i praksis - Nordic Journal of Applied Ethics no. 9 (1). doi: 10.5324/eip.v9i1.1833. Tøsse, Sunniva Eikeland. 2013. "Aiming for Social or Political Robustness? Media Strategies Among Climate Scientists." Science Communication no. 35 (1):32-55. doi: 10.1177/1075547012438465. Wynne, Brian. 2003. "Seasick on the Third Wave? Subverting the Hegemony of Propositionalism Response to Collins & Evans (2002)." Social Studies of Science no. 33 (3):401-417. doi: 10.1177/03063127030333005. a) attribution - give appropriate credit, provide a link to the license, and indicate if changes were made. b) share alike - any remixing, transformation or building upon the material must itself be published under the same license as the original.